Little Fun Club is a monthly children’s book subscription geared toward adventure and stirring up your child’s imagination. This subscription is meant for children up to age 12. 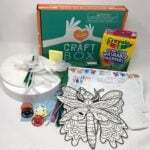 They offer a book box two or three age-appropriate books and also offer one-time purchase adventure boxes with a book and coordinated activity/craft. This review is of the $29 a month 3-book subscription for a 3-year-old boy. The Cost: $29.95 a month + free US shipping. Save with longer subscriptions. 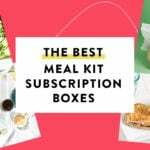 COUPON: Use code MSAISAWESOME to save 20% off your first month-to-month box! The books arrived wrapped in craft paper and ribbon. The first book we read from our Little Fun Club box was this book, Groundhog’s Day Off. It’s a cute story about how everyone only ever asks the groundhog about his shadow and Spring. Will it come soon? Will we get more winter? No one cares about Groundhog’s interests and how he feels! He decides to go on vacation, leaving the town having to hold auditions for a new groundhog. It’s clear no other animals make as good a groundhog and they rush to win back the groundhog. My 3-year-old didn’t know about Groundhog’s Day before reading this, so that was fun to talk about, too. This will be great in February. This book is my favorite in the box! It’s so cute. I love the title, the art and the metallic accents on the cover, and I just giggle every time I read “activate your bot pajamas.” This book is about a little robot kid who builds a rocket after bedtime in the robot city, flies out to space, parties with aliens, and then gets tired and goes home to sleep before his parents knew what happened (or was he sleeping the whole time after all?). It’s a fun read. Apparently, this book is an abbreviated board book version of the hardcover print, longer story. This book has crazy good reviews on Amazon, so I feel like I need to go check out the hardcover now too! It’s made by the same people who made the Goodnight, Goodnight, Construction Site book. This board book goes through the train cars and has a short rhyme about the animals on each one and what they’re doing or what they have. It’s cute! This one seems better for my 1-year-old, though my 3-year-old liked it, too. Verdict: This was my first Little Fun Club and I truly enjoyed it. All three books were cute and high quality and enjoyable to read with my sons. The packaging was great, too, and made it really fun to open up with my toddler. The total value of this box adds up to $50.97 (less with sale prices), which is over the cost of the box. My kids and I had a lot of fun discovering this box! Coupon – Use code MSAISAWESOME to save 20% off your first month-to-month box! Check out all of our Little Fun Club reviews and the Parents + Babies Subscription Box Directory for other fun boxes your child might enjoy! What do you think of Little Fun Club?